One fish, two fish, red fish, blue fish; in general, all fish of a species look the same to humans. Surprisingly, however, research shows that the individuals in at least once species of fish have no trouble telling each other apart. According to experiments undertaken by researchers at the University of Queensland, Australia, the Ambon damselfish, or Pomacentrus ambionensis, possesses the capacity for facial recognition—ordinary among humans, but unique and undiscovered in fish until now. Recently presented at an academic conference in Australia, the research, led by marine scientist Ulrike Siebeck, builds on Siebeck's own prior investigation into the damselfish’s ability to recognize the shape of ultraviolet patterns that distinguish one fish species from another. A 2010 experiment found that the damselfish relied on its ultraviolet (UV) sight to determine which particular species of fish was intruding on its territory, and thereby whether or not that particular fish’s presence necessitated an attack. 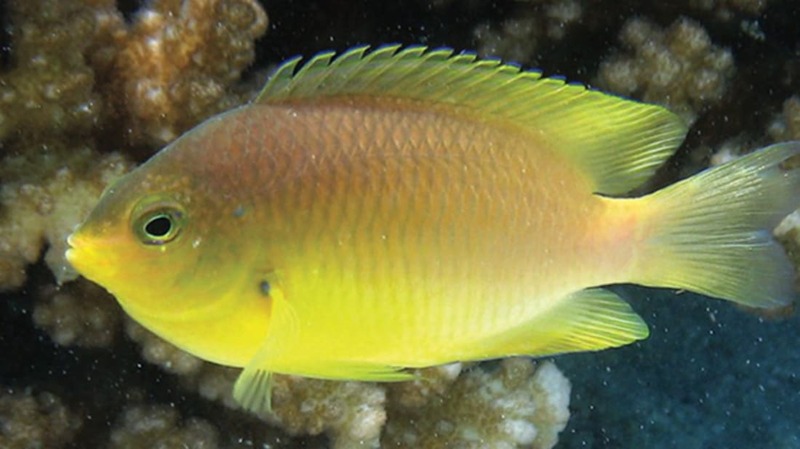 When the damselfish were prevented from recognizing the intruding fish’s UV facial pattern, they were effectively blinded, unable to identify their preferred prey. This new study finds that the damselfish is capable of even more nuanced facial recognition than previously thought, involving not just making distinctions between different species, but between individual fish as well. Captive damselfish were trained to recognize a given UV facial pattern, reinforced by a food reward. When presented with the familiar face and a strange new face, the Ambon damselfish were able to identify the correct fish face with 75 percent accuracy, a pattern that held true even when the faces were those of a similar but different species, the lemon damselfish. The Ambon damselfish was even able to recognize the same face when it was blended with other photographs of fish faces to create totally new images, demonstrating a truly impressive sense of feature recognition—and all based on patterns of UV light invisible to the human eye. While it may seem like a limitation of the damselfish’s ability that its pattern recognition relies solely on ultraviolet patterns, rather than facial topography or other physical identifying features, it is actually a characteristic that may help them survive in the coral reefs of the Western Pacific Ocean. Just as the human researchers were unable to see the ultraviolet patterns their subjects saw without technological assistance, the damselfish’s predators are UV blind. In this way, the damselfish’s ultraviolet sight functions as a superpower of sorts, so that their facial patterns and the ability to recognize them allow the damselfish to “communicate secretly,” Siebeck theorizes.